A year later and we have decided to renovate our house!! WOOO! We made it. A year of sharing a bathroom, doing laundry outside and a small…creature run-in, we are here. We’re ready to knock down some walls and gut some much-needed places in our home. We may be biting off more than we can chew, but here we go!!! So, if you haven’t been following along you guys know how long I’ve been talking about this renovation... If you’re just joining, let me catch you up. We got married and bought our house in the Spring of 2015. The housing market was, well, insane!! We were lucky to find our house and willing to roll up our sleeves, rough it through an outdoor laundry situation and do some work. 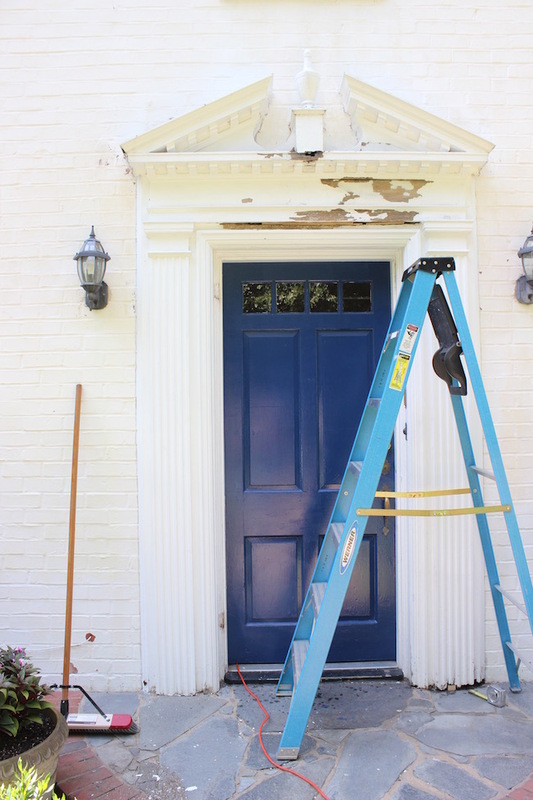 We painted our front door blue (obviously). We removed radiators…15 to be exact. And replaced some wood floors. We were aggressive and…slightly obsessed. With full time day jobs, we did projects on nights and weekends. After all of our hard work, we ended up with three rooms that looked like this! For pretty much as long as it took to take these lovely pictures, and then they went back to disaster zones. Somewhere around Christmas time, things started to stall. Man, we were tired. After non-stop weekends of home renovation projects, ambitious travel and never ending “to do” lists at home (and work) we needed a break. And now we are here… (!!!!!!!!!!!!) Can’t. even. contain. myself. Now onto the good stuff, here are the spaces we are going to tackle in the upcoming renovation. But don’t let all of our previous handy work mislead you, we will be bringing in the professionals for this job. Can't wait to share the process as we go! 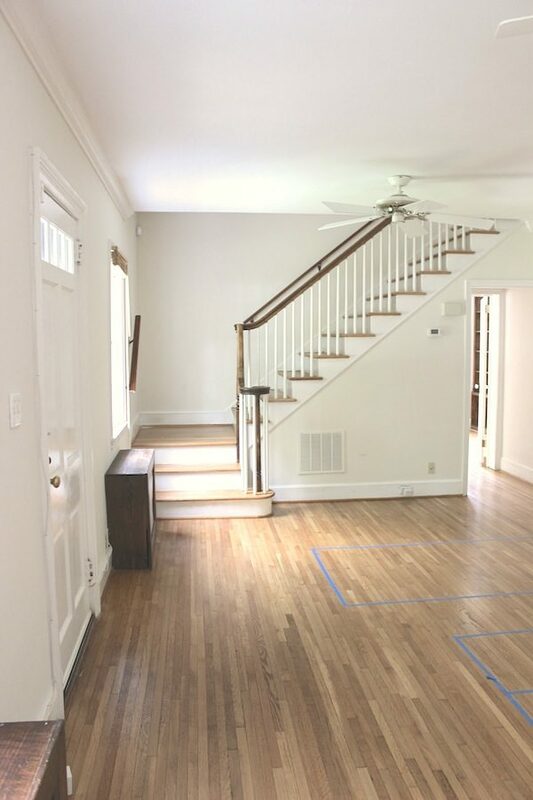 We started a page for our home renovation so it's easy to follow along under 'Interiors'. You can also sign up for our newsletter to follow along!